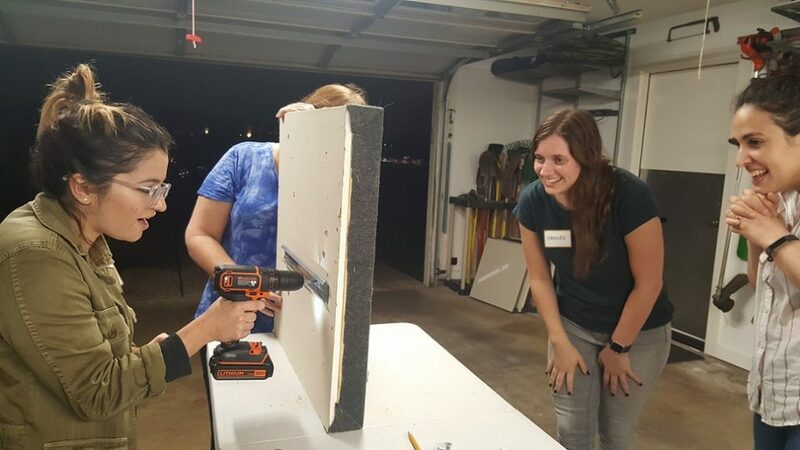 When practicing with cordless drills, it helps to have a piece of drywall. That way, you can see what happens to wall anchors on the usually invisible back side, as they are drilled on the front side! 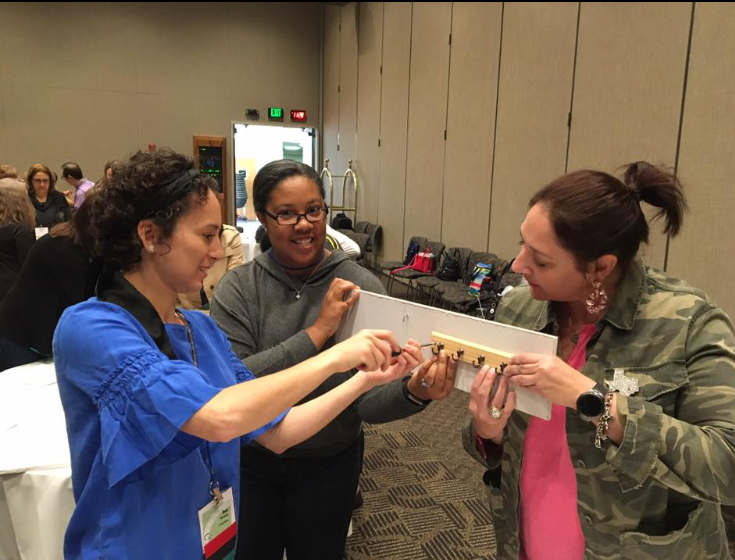 At the DIY Hand Tools For Professional Organizers session at the 2018 NAPO National conference, organizers practice installing a small hook rack. Contact me at 512-585-9836 for dates and times. Groups and individual classes available. We’ll have fun! And make lots of noise! Ear plugs and dust masks will be provided. You may bring your own food and drinks to the class. We will get dusty from drilling holes into drywall, so dress accordingly. Wear closed-toed shoes, for safety. You can pay for the class, here, with your payment method of choice. Location will be supplied upon payment. 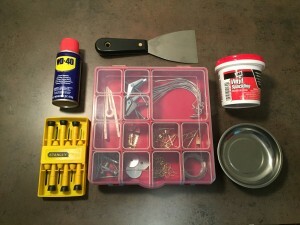 – and most importantly, how to keep your tools and hardware organized! There are tool kits out there that you can buy, pre-assembled, that are “marketed for women.” Do women need different tools than men? I say no. Often, those “tools for women” are smaller sizes, and/or cheaply made and won’t last. 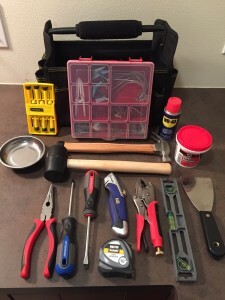 Some tool kits are sold at bargain prices because the selected tools are lower-quality. Sometimes they’ll fill a bargain tool kit up with unnecessary items like ten screwdrivers, when you really need only a couple of good ones. I love using real tools, good quality, sturdy tools that I can trust to do the job and last a long time. And that’s what these are. 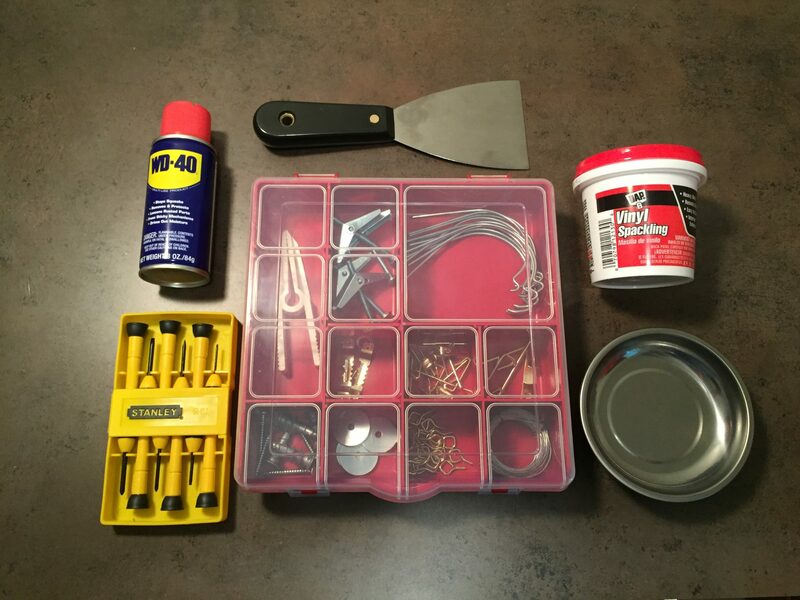 I did a lot of shopping, research, and testing at many different hardware stores, large and small, to gather these tools together for you. 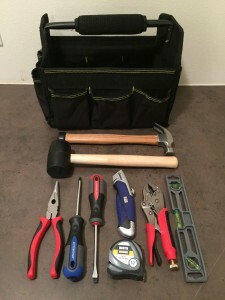 I also shopped around for the best tool bag, and as a professional organizer, I’m excited about this particular one. 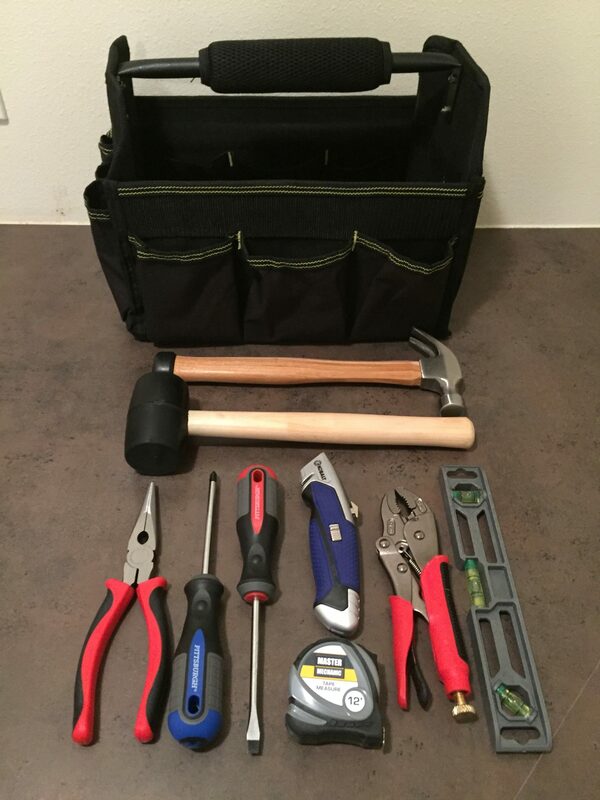 This tool bag is an organizer’s dream, with lots of pockets inside and out, to make it easy for you to always put your tools away in their home, and quickly find them later when you need them. Available for purchase at class – kit includes WD-40, micro-screwdriver set, spackle and spackle knife, magnet bowl, and hardware organizer (Monkey hooks for 10 lb, 20 lb, and 40 lb, nail holder clip, picture hangers, picture hanging hooks and wire, threaded anchors, toggle bolts, washers) .